Prepare for a marathon shopping experience with our Black Friday sale tips to get the stack up your loyalty points and grab amazing deals. The most awaited sale of the year is here, and you do not want to miss out on the Black Friday deals just because you were not prepared, do you? Don’t worry we have got your back. These are some of our tried and tested methods for a successful sale shopping. So, read up! Of course, we at Reward Cards app are all about saving when shopping. So it is no surprise that our first shopping tip is to make a list of things you need. Making a shopping list, obviously lets you have a clear idea about the items you need and where you can get them. Which place has the best sale on the thing you need? Can you manage to get most of your shopping done there? See? A simple shopping list goes a long way in helping you make a better shopping plan. Go ahead and make a list of must-haves and figure out which store opens first and make a shopping plan accordingly. Stuff which make you wonder what made you buy them in the first place. Not to mention, wallets devoid of cash. So, make a budget and stick to it. This not only lets you choose wisely, it also ensures that you don’t feel a sense regret after your shopping spree. You buy things you really need and have looked forward to buying. Its ok to keep aside some amount for miscellaneous shopping, but even that should be earmarked in the “budget”. Now that you know what you want and how much you are willing to spend, go for some window shopping. Most stores start preparing for the Black Friday sale, way before Friday! So, it is quite likely that the stores will arrange their wares up by Thursday. 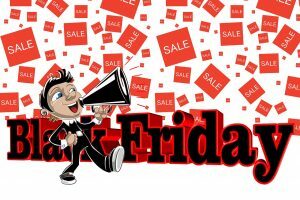 You may also find that they rearrange the contents of the store for optimal shopping experience for the Black Friday sale. The last thing you want to be miss out on your coveted pair of high-end jeans just because you didn’t know where they were kept! Figure out where they are. Are they available in the size and colour you need them in? Can you try it on? The day of the sale is going to be chaotic. You won’t have time to figure these things out amidst the shopping spree. When you land at the store on Friday, it should be akin to you just picking up the stuff you want, assured of its fit and quality. So take a walk up to your store and study the layout.. Hey, great deals require work! offers and best deals. Many websites even carry out pre-black Friday sales. Some stores send you special discount coupons that give even more savings. Now, don’t worry about carrying all the loyalty cards, just scan them into our Reward cards App and show them at the checkout counter to earn your reward points. One thing you can do to avoid being spammed is to use a separate email Id for all such subscription mails. Not only keeps your inbox clean, you do not have get tempted to shop as when they drop a mail with offers. Black Friday sale obviously draws a huge crowd, and this means we are not only trying to manoeuvre through the store to get what we want, we are going to spend some time queuing up trying to pay for them. This is where having one more person with you while you shop helps you get your shopping done faster. You can divide and conquer with each of you taking one half of the store. One of you could shop while other queues up for billing. Sometimes you end up standing in line even for a shopping cart or for a coffee (coffee == energy for shopping). Remember these standing times are taking away from your shopping time. So carry a small shopping bag, this will definitely help you if clothes and other small items are your target. You will need a shopping cart for your flat screen TV! Some stores like Starbucks let you order the coffee online. You then just pick them off the counter when ready and avoid standing in line for the same. Have been dying to replace your too- slow- to- use a laptop or turn your normal TV into a smart tv using a fire stick or google chrome? – this is the best time! Even stores like Apple who are quite stingy with their discounts, offer them during black Friday sale. Even a 10% discount on electronics or jewelry is quite some money. So, this is always the best time to shop for expensive items. We know Christmas is far away (Ok, not too far away), but it is not the only time you shop for gifts. Buy candles and perfumes during black Friday sales for friends and family with birthdays this month or just to cheer someone up. Maybe, you can start working on that Christmas gift list… (Christmas month is just a few days away, right? Don’t Forget to Download Reward Cards App which will help you to save extra bucks while shopping. Scan all your shopping cards in Reward Cards App for a fast checkout on Black Friday Sale 2018.